Olympic and World Championships Gold medallist, Asafa Powell on Tuesday officially made a humanitarian leap with the launch of his very own foundation. 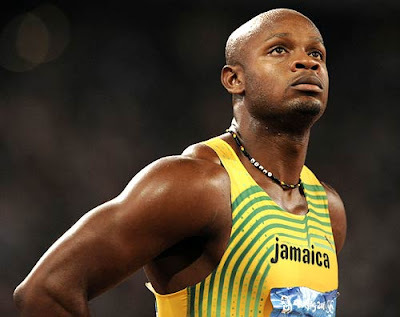 With this move, Asafa joins the list of celebrity do-gooders who are giving back, whether it is to their communities or specific interest groups, by establishing a foundation. Members of the sporting fraternity and well-wisher joined the former 100-metre world record holder as he officially launched his foundation at the Jamaica Pegasus hotel in Kingston in what was a very well organized event. On hand to lend support to Powell were his teammates from the MVP including Brigitte Foster-Hylton, Michael Frater and Sherika Williams as well as 100 & 200 metre world record holder, Usain Bolt. Bolt was among those making a donation to the foundation, however, the organizers did not reveal the amount on the cheque given by Bolt.